An aerial view of the new district, looking north. Imagery from Bing. Preservation Research Office is no stranger to the vagaries of urban change recorded in downtown areas. The rise, fall and rebirth of cities can be “read” from the streets at the center of cities of all sizes. Belleville, St. Louis’ prosperous prairie neighbor, is no exception. The challenge with creating historic districts in historic downtowns is to build a story that includes the different chapters. This district, with a period of significance running from 1850 through 1960, does just that. 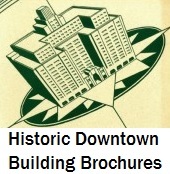 The new district records both the history of the center city and the name of city founders. In 1814, landowner, innkeeper and sheriff George Blair donated the 25 acres that would become Belleville. His wife Mary Blair was every part equal according to an account by Illinois Governor John Reynolds, although historic detail is not clear on her role in the founding. The district’s name honors both Blairs, who were the original settlers of the area that would become downtown Belleville. The new name of the district came from the suggestion of Belleville Historic Preservation Commission Chairperson Jack LeChien, and replaced an earlier name. The District is situated within the center of Belleville, which is laid out on a grid and characterized by urban development dating to the 19th and early 20th century. While Belleville’s layout follows road and rail lines, the center of the city adheres to an ordinal grid with a few diagonal streets. To the west of the District, Richland Creek remains a natural topographic boundary between the center city and the west side, once the independent village of West Belleville. The primary commercial area lies between A Street and Washington Street, 1st Street and 3rd Street. This area is anchored by the nearly continuous street walls of Main Street and the relatively massive Turner Hall at 1st and A streets. While the District’s disparate areas have differing tones, the overall cohesion comes from a compatible range of styles and uses that embody downtown development. The District’s resources narrate the story of the growth of an emergent urban area, and visually read as such. At left, the commercial building at 200-2 W. Main Street dates to 1860 and embodies the French-derived Second Empire style of architecture. 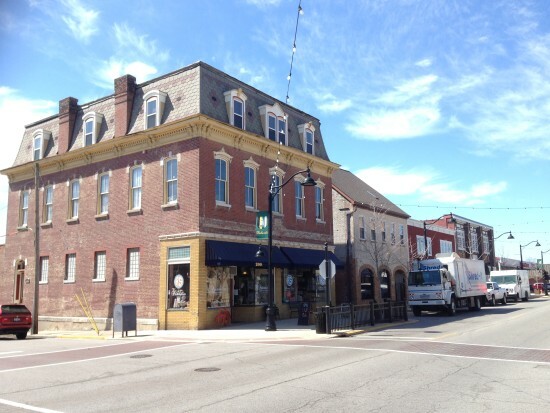 The Blair Historic District is locally significant and represents part of the historic central business district of Belleville, and its buildings are associated both with significant local design trends and business history. 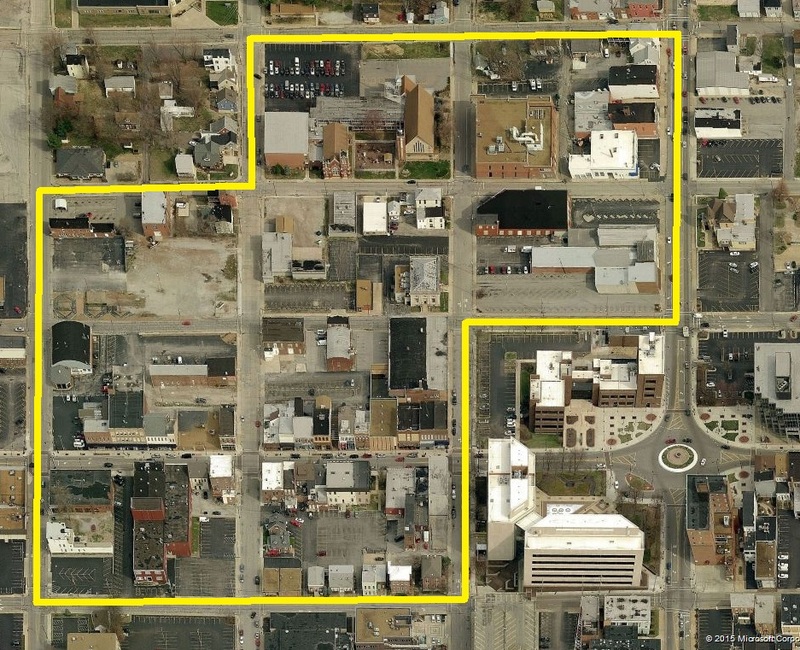 While downtown encompassed a larger area, these blocks’ resources include part of the central retail backbone of the city along Main Street and Illinois Avenue. The District’s resources span a range of both vernacular and designed buildings comprising a large part of the historic center city. The buildings embody both national stylistic trends and regional folk forms. 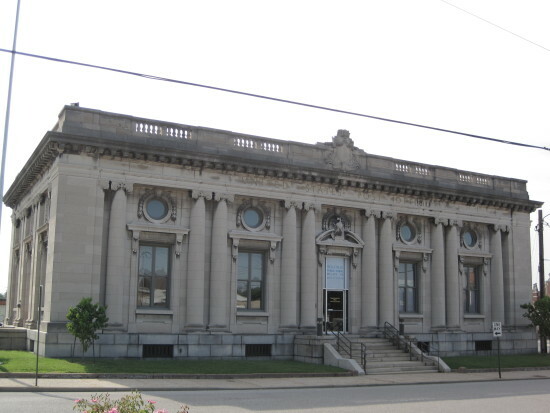 The Beaux Arts former Belleville Post Office (1911) is included within the District. Buildings in the District include one- and two-part commercial buildings, warehouses, garages, a public school, a church complex, two fraternal halls, two public buildings and some single and multiple dwellings. The buildings embody significant trends in the urbanization of Belleville, and include a significant number of the city’s German street house folk form. The period of significance begins in 1850, after which the first building is presumed to have been built, through 1960, when active architectural development ends. The demolition of the historic St. Clair County Courthouse in 1972 sounded an alarm to Belleville that its historic resources were at risk. That demolition severed the nominated District from its namesake Courthouse Square. Charles Nichols successfully ran for mayor of Belleville in 1973 on a platform that included officially adopting a historic preservation ordinance. By 1974, in Nichols’ administration, the City of Belleville had adopted the ordinance and established a Historic Preservation Commission. The Commission designated the Old Belleville Local Historic District east of this District in its first year. 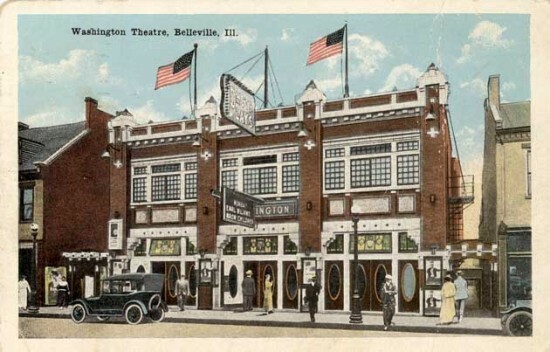 The Historic Preservation Commission an organized architectural survey of Belleville in 1975 that led to the nomination of the Belleville Historic District to the National Register of Historic Places in 1976. The boundary of that district excluded the nominated District despite similarities in building typology. At the time of designation, however, there was resistance to including commercial properties around Main Street, which was largely excluded. Illinois Avenue was a commercial barrier to western expansion of the district. At the same time that the Courthouse demolition occurred, the city began realizing that downtown’s shopping district was in decline. Although a 1973 Belleville News-Democrat cover story profiled downtown merchants worried about the opening of St. Clair Square Mall in nearby Fairview Heights, the reality was that the downtown already showed signs of decay. Demolitions already had removed many buildings in favor of parking lots. Eventually, grassroots small business development revitalized downtown, but there was a definite close to the retail heyday. The partially restored Washington theater at 222 W. Main Street (1913) is a contributing resource, but may not have been prior to the removal of metal cladding in 2008 that revealed the facade beneath. The draft nomination was prepared by Michael R. Allen (Director) and Robin Harvey (Project Associate). The Illinois Historic Sites Advisory Council reviews the district nomination at its June 19, 2015 meeting. If approved, the nomination would head to the National Park Service for final listing. I think that Belleville and most of the surrounding areas have concentrated too heavily on the decorative Victorian buildings and too little on the early Federal style buildings. The houses built in the 1830s and 1840s are being demolished at a huge rate. This district will include a few of them and leave most of them open to destruction. The earlier buildings are important from a historical vantage point, even if they’re not as popular because they’re built by hand before the machine age and are more plain and not as decorative. They’re generally one story or at most two and are built of handmade locally sourced brick, are reliant on symmetry for decoration, and were the homes of the earliest residents of the town. They probably replaced earlier log cabins and basement houses. In the midst of those are houses that were probably built a few decades earlier and have the same dimensions and look. Only a close look at the property records and timber cuts, windows and doors, and original mortar can tell ones that were built in the 1810 to 1820 period from those built later.